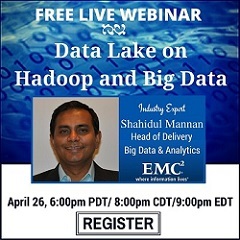 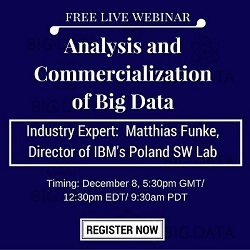 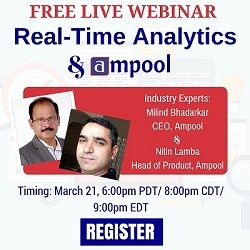 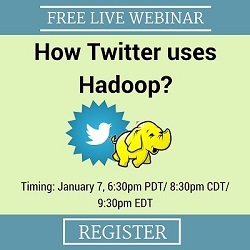 Free Live Webinar: How Twitter Uses Hadoop? 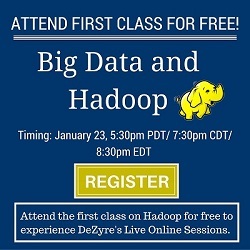 Join the first Live Hadoop session for FREE! 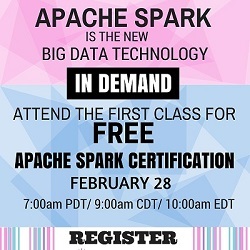 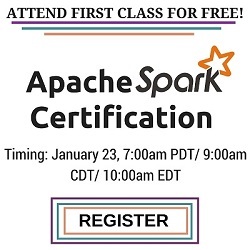 Attend the first class of Apache Spark for free! 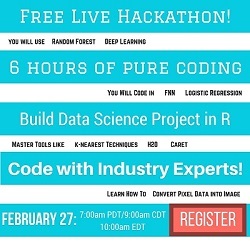 Attending the first session of Data Science for free! 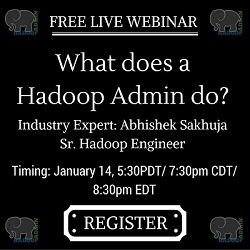 Free Live Webinar: What does a Hadoop Admin do? 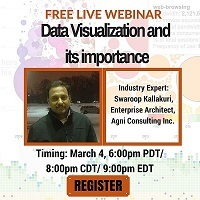 Free Live Webinar: Data Visualization and its importance. 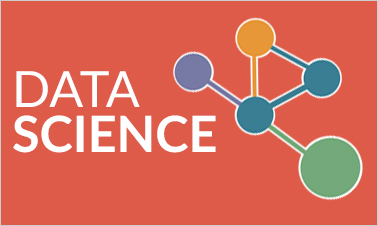 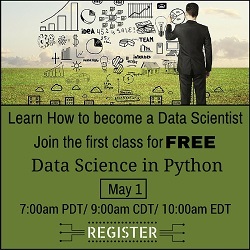 Attend the 1st session of Data Science training for free! 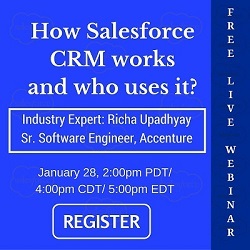 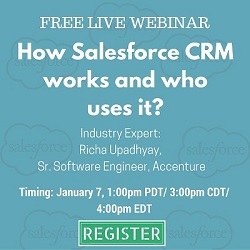 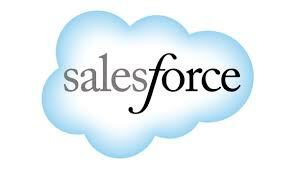 Free Live Webinar: How Salesforce CRM works and who uses it? 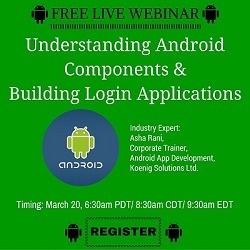 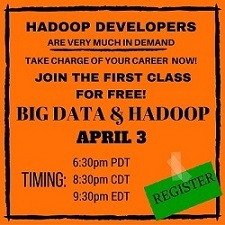 Attend the first Live session for free! 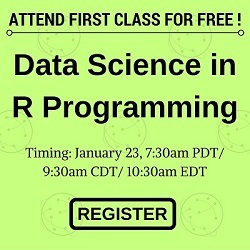 Attend the first session for free! 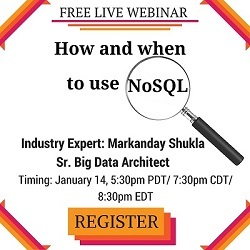 Free Live Webinar: How and when to use NoSQL? 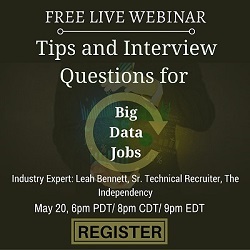 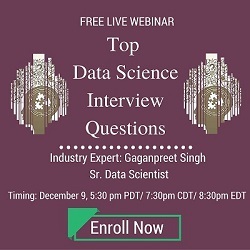 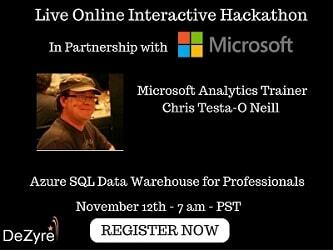 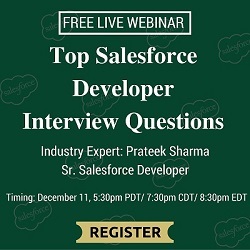 Free Live Webinar: Top Interview Questions for NoSQL jobs? 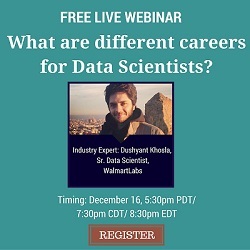 Free Live Webinar: What are different career options for a Data Scientist? 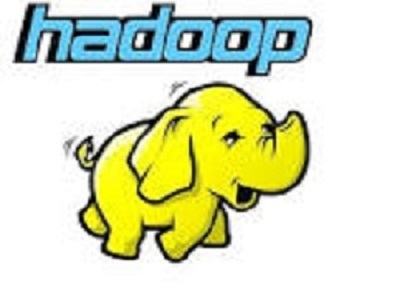 Work on Real time Hadoop Project for free! 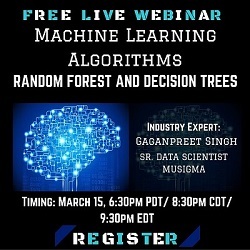 Join the first Live session for free! 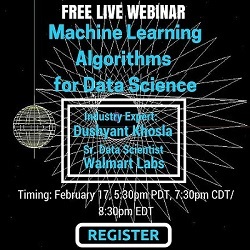 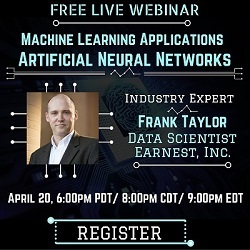 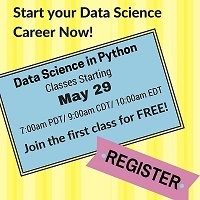 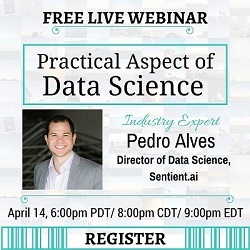 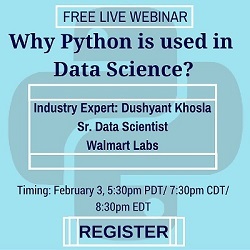 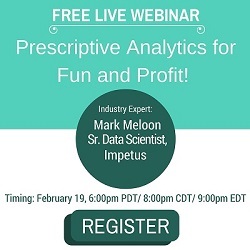 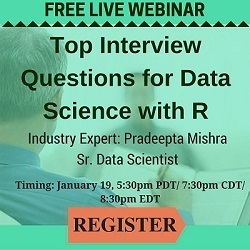 Free Live Webinar: Why is Python used in Data Science? 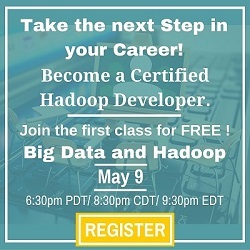 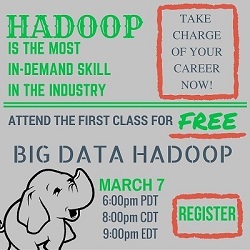 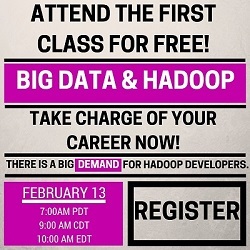 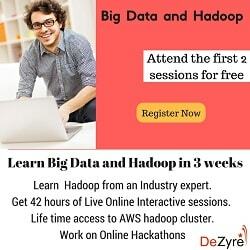 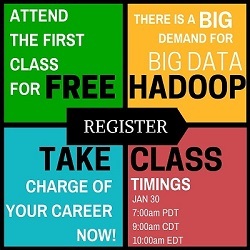 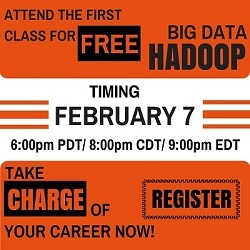 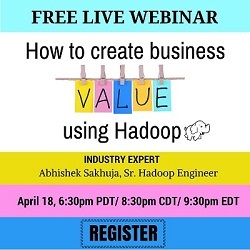 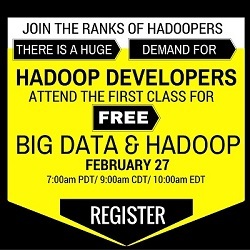 Attend the first 2 Live session of Hadoop for Free! 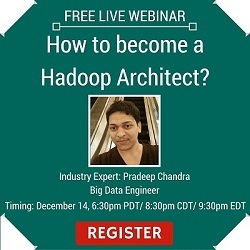 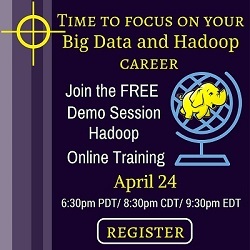 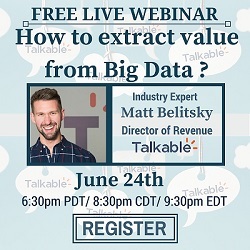 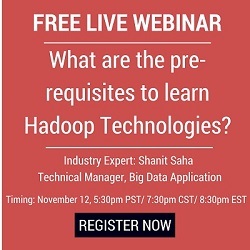 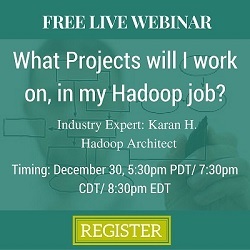 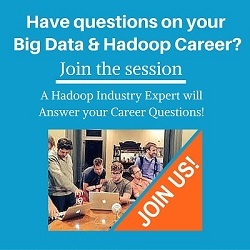 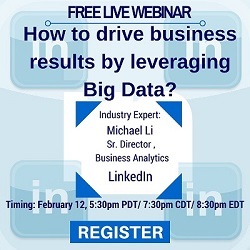 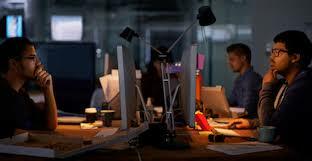 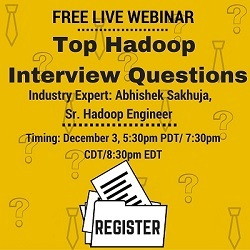 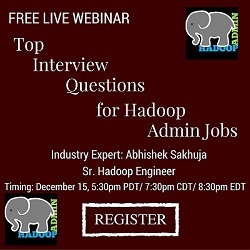 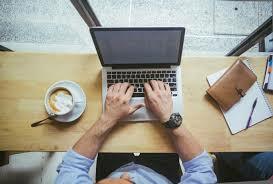 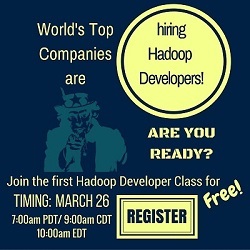 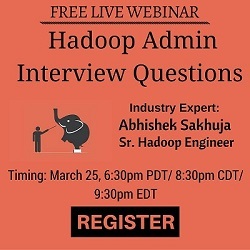 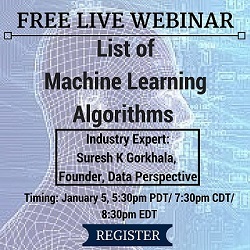 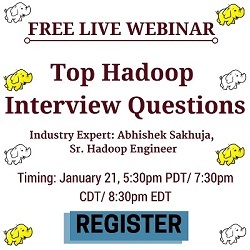 Free Live Webinar: What projects will I work on, in my Hadoop Job? 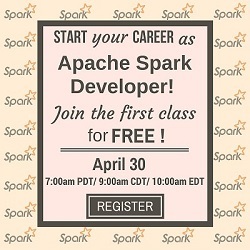 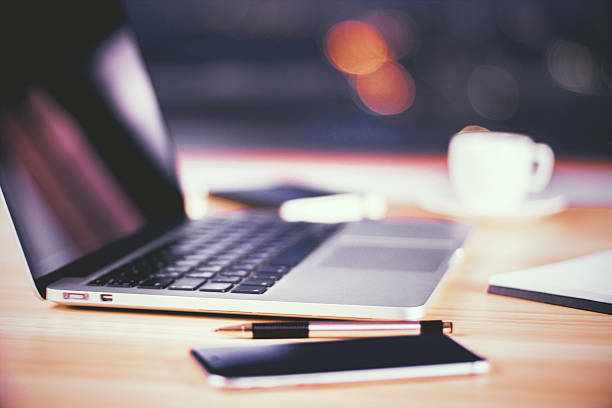 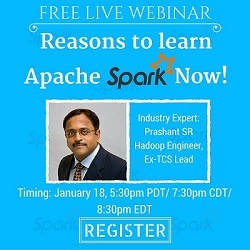 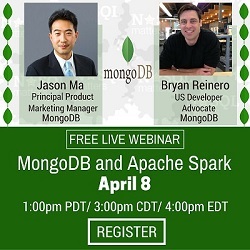 Free Live Webinar: Reasons to Learn Apache Spark Now! 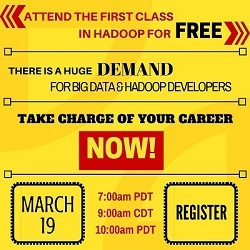 Attend the 1st session for FREE! 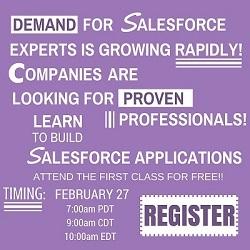 Get Hands on Training - Attend the first session for FREE!